Is it possible to "merge" the two child terms into the parent and have all items that is tagged with the child terms to be changed to the parent and not keep its original tag? I found some info on merging in the term-store but it doesn't really do what i want in this case, or did i misunderstand the guide? It’s by default that we are not able to merge the child term to parent term in the same term set. 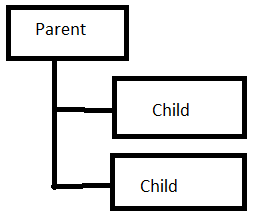 The source term and target term have to be siblings in the same term set. As a workaround, you could create a new term set with the parent term name and right click the child term, then click "Merge terms" button to merge the child terms to this new term in different term set. Then go to central administration->Monitoring->Job definitions, find out and click “Taxonomy Update Scheduler” and “User Profile Service Application - Activity Feed Job”->click “Run now”. Then check if the terms update for the items. Not the answer you're looking for? Browse other questions tagged sharepoint-online taxonomy term-store or ask your own question.